Special thanks to all the awesome teams and volunteers for an awesome qualifier! Thanks to Garrett College Staff for providing such great support. The event stream is now archived. Each year, teams compete in local, state and national FIRST Tech Challenge (FTC) robotics competitions. The ultimate goal is to earn an invitation to the World Championship in Detroit Michigan in April. 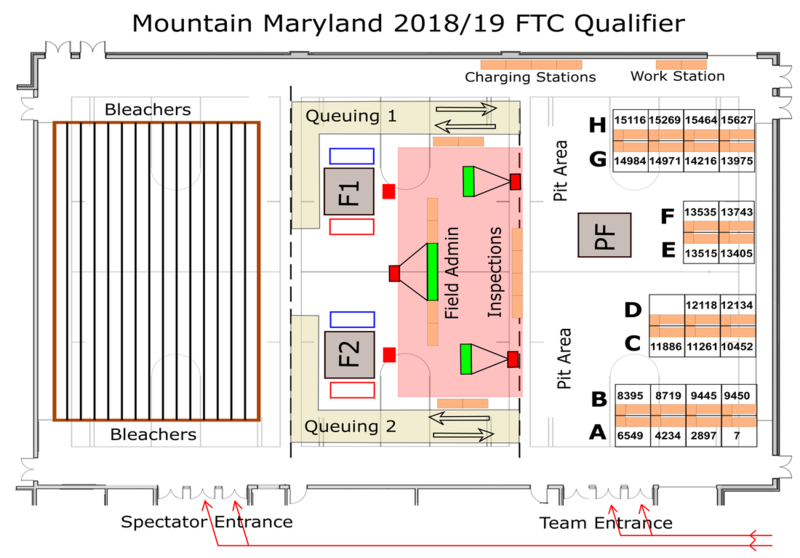 This year, G-FORCE is acting as the host team for the Mountain Maryland FTC Qualifier. 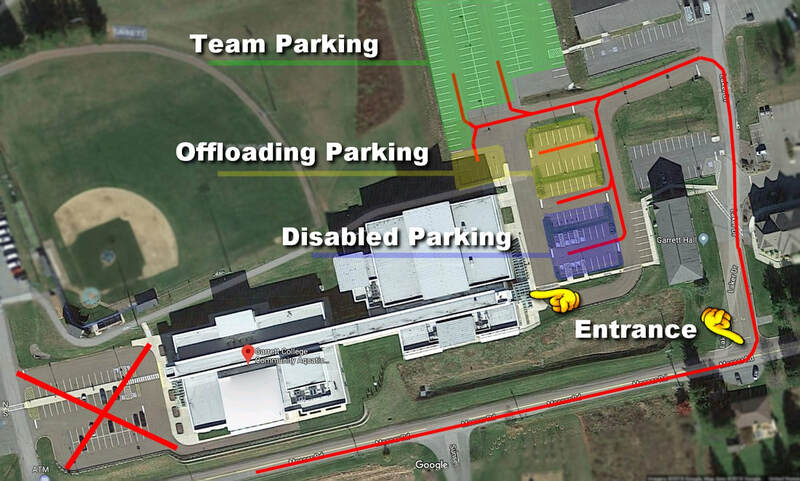 The event will be held in the CARC at Garrett College, and is sponsored by GEARS Inc.
21 teams from around the area will travel to Garrett County to compete for 4 spots at the MD State competition. Garrett College is providing this excellent venue to promote their growing STEM capabilities, and we hope that teams visiting this event will consider Garrett College for their further education. The event follows a typical sports style model with qualifiers and playoffs throughout the day. The event is free and open to the general public. See the schedule to plan your visit to watch the action. 1. Plan to arrive at your judging room 5 minutes prior to your scheduled time. Use the door at the far side of the bleachers. 2. Please use gracious professionalism in the hallways being quiet at all times. 3. Each team will have 5 minutes of uninterrupted time to present to the judges. If you do not have a presentation prepared, the judges will begin their questions. 4. Teams will have a remaining 10 minutes for judges questions and answers. 5. Turn in your team Engineering Notebook and Control Award application prior to leaving the judging room. 6. Coaches, please inform the judge advisor in advance of any special needs that the judges should be aware of (alantz.4h@gmail.com). 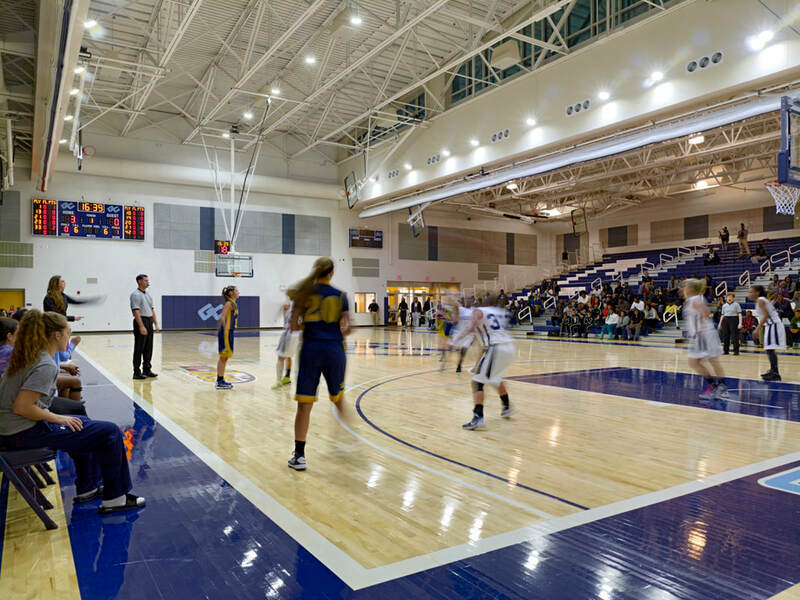 Garrett College (GC) is a two-year community college located in the beautiful mountains of Western Maryland. The college supports students seeking immediate entry into the workforce and those planning to transfer to four-year colleges and universities. The college offers degree and certificate programs in a variety of disciplines, including: liberal arts, computer science, cyber-security, engineering, mathematics and the sciences. 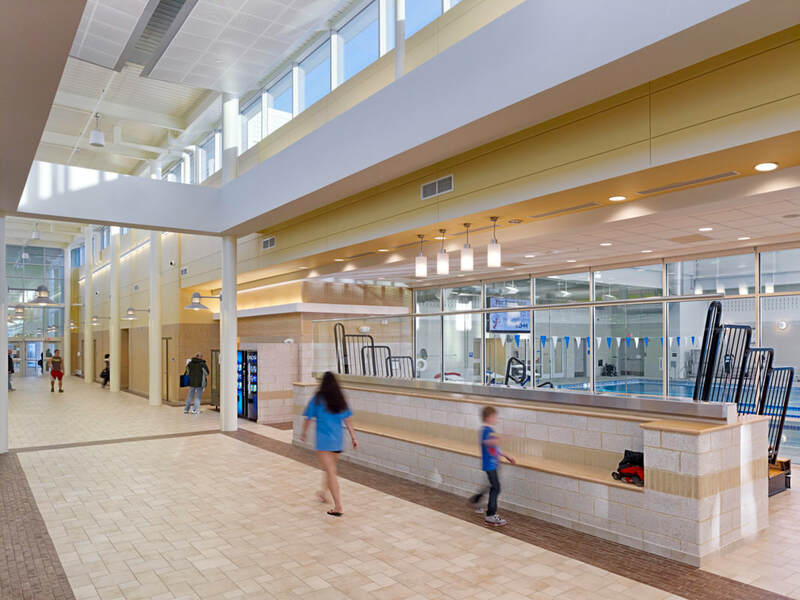 The college’s small class sizes, excellent student support and engaged faculty & staff provide a great, cost-effective opportunity for students. GC’s commitment to STEM education is demonstrated by the new STEM center (opened in September 2018), and support for STEM events such as this FTC competition. Other Technical information. Please read and observe. It's important to you and your alliance partners that you are using the latest software and firmware versions. The software version is for the Apps you are running on the Driver Station (DS) and Robot Controller (RC). The Firmware version refers to the code running on your REV expansion hubs. The latest versions will help to keep your robot hardware connected under extreme game conditions. Setup your robot, and connect your phones as if you were ready to run. On the driver station, use the three dots menu to choose Self Inspect. Select the Robot Controller Inspection. If your apps are not up to date, either connect to the Google Play store and update them, or load the latest SDK into your Android Studio project. Power will be rationed in the pits. Each pit will be provided with ONE outlet, so please bring a small power strip. Find one with a light so you know that it’s on and powered. Make sure it has your team number on it. Assume that you can only use your laptop, phone chargers and two 12V battery chargers in the pit. Don’t bring other equipment like 3D printers or Large screens. If you have/need more chargers, there will be a charging station off to one side of the pits. There will also be power outlets in the queuing area for topping off your phones. Make sure all your items are labeled with your team number, in case you misplace them. Each pit will be 9’x9’ square with a 9’x3’ table space and several chairs. Please do not bring large pit structures or tall banners that stand on the floor. Try to keep displays located on your tables. Pits will be back-to-back and in rows so please chat with your neighbors. Since we would like to limit the amount of hard debris left on the gym floors,we are requesting that teams avoid using cutting tools (drills, files, saws etc. ) in their pits. We will provide a side location where this type of work can be performed. We request that teams do their construction work there, and then clean up after themselves (bring a hand sweeper). This is our way to respect our Garrett College hosts and make them eager to invite us back next year.